12 Week Transformation to Fitness Competitor! Home/Success Stories/12 Week Transformation to Fitness Competitor! 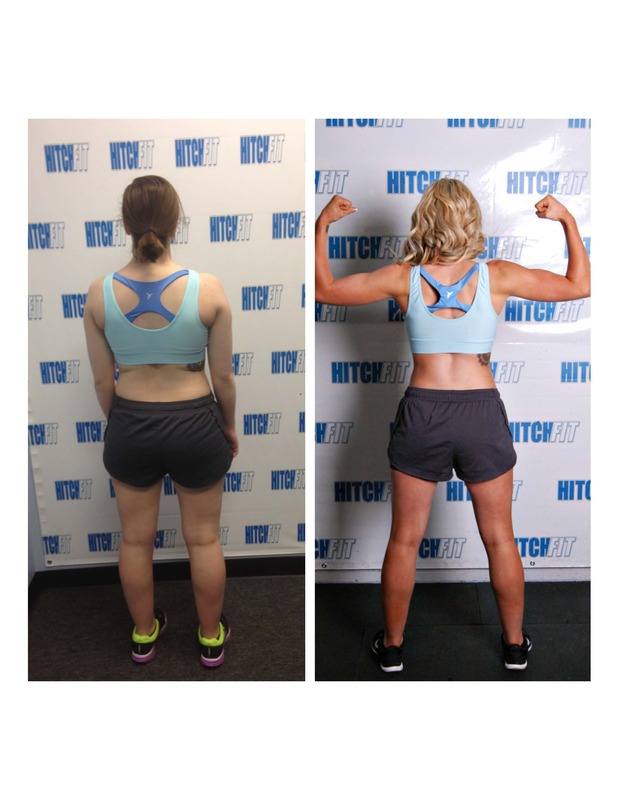 Transformation by Hitch Fit Gym Overland Park Personal Trainer (Transformer) Kali Boehm! Megan went from doing a 12 week transformation to being a fitness competitor as she was inspired by Kali and the team at Hitch Fit Gym! From 12 Week Transformation to Competition Prep! “When I started with Hitch Fit I was confused and unsure what to do about my personal future. I was unhappy and generally wasn’t feeling good about myself. I decided to do something about it, for me, and only me. After finding Hitch Fit online I nervously emailed Kali about a consultation and included a few excuses about my work schedule. We set up a consultation and I met with her a few days later. I took a risk and made a 12- week commitment to change my life for the better and I can honestly say I’ve done that. I have learned so much about my body, my strength, my dedication, my discipline and my worth. This lifestyle isn’t easy, but it’s worth it, I promise. Every day I was met with challenges and Kali has taught me how to be prepared for and overcome them. When I doubted myself and wanted to give up (more than I’d like to admit) Kali was there pushing me and encouraging me. I can’t thank her enough for teaching me, pushing me, listening to me, and laughing with me. One of the best things about Hitch Fit is the team atmosphere. All the trainers at Hitch Fit are so encouraging and positive! After lots of hints and suggestions from Kali and other trainers about competing I decided to continue my journey with Hitch Fit. I transitioned from the famous 12-week transformation into competition prep. With the continued support from Kali I changed my diet, began more targeted and focused workouts and cardio routines, and learned about posing and stage presence. Competing is a major commitment and I recommend finding a knowledgeable coach who completely understands competition diets and completely understands how competition organizations work. The great thing about working with Kali is that she is a competitor herself and she can coach you in all aspects of your competition prep. No need for multiple coaches and no cookie cutter stage routines! I can’t be happier with my transformation experience and my competition experience. I plan on continuing with Kali and the Hitch Fit team for my next competition prep. Kali went above and beyond what I expected from a trainer and coach. Contact Kali Boehm at Overland Park Hitch Fit Gym today! Or call 816-753-8900 and request to train with Kali.